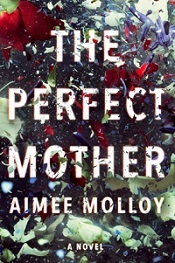 When I picked up THE PERFECT MOTHER by Aimee Molloy (on sale May 1st), I was hoping for a domestic thriller that would fill the BEHIND CLOSED DOORS-shaped hole in my heart—and that’s exactly what I found. THE PERFECT MOTHER is that perfect blend of breezy plotting, chilling subject matter, and addictive interpersonal drama that makes for what I like to call “popcorn reading”: an utterly addictive, can’t-get-enough kind of read. Following a group of trendy Brooklyn moms whose lives are rocked by a terrible tragedy, Molloy’s stellar suspense novel will perfectly suit readers looking to add another binge-read to their spring reading list. Fans of BEHIND CLOSED DOORS by B.A. Paris, LIE TO ME by J.T. Ellison, and BIG LITTLE LIES by Liane Moriarty will feel right at home in Molloy’s story of the pressures of motherhood and the lies friends hide from one another. There’s nothing like getting swept up in a page-turning domestic thriller, and if that’s what you’re in the market for, THE PERFECT MOTHER will be a surefire hit. Some people are so good at making perfect look easy. When the group’s members agree to meet for drinks at a hip local bar, they have in mind a casual evening of fun, a brief break from their daily routine. But on this sultry Fourth of July night during the hottest summer in Brooklyn’s history, something goes terrifyingly wrong: one of the babies is taken from his crib. Winnie, a single mom, was reluctant to leave six-week-old Midas with a babysitter, but the May Mothers insisted that everything would be fine. Now Midas is missing, the police are asking disturbing questions, and Winnie’s very private life has become fodder for a ravenous media. Though none of the other members in the group is close to the reserved Winnie, three of them will go to increasingly risky lengths to help her find her son. And as the police bungle the investigation and the media begin to scrutinize the mothers in the days after Midas goes missing, damaging secrets are exposed, marriages are tested, and friendships are formed and fractured. THE PERFECT MOTHER is the latest in a growing list of stellar 2018 domestic suspense reads that has reinforced for me just what makes these books so fun—and also so uniquely compelling. THE PERFECT MOTHER puts its own spin on the genre, focusing in on a group of new moms - the “May Mothers” - who meet regularly to support one another through the challenges of new motherhood. Right from the get-go, Molloy’s novel differentiates itself from many of its peers with its female-oriented narrative. 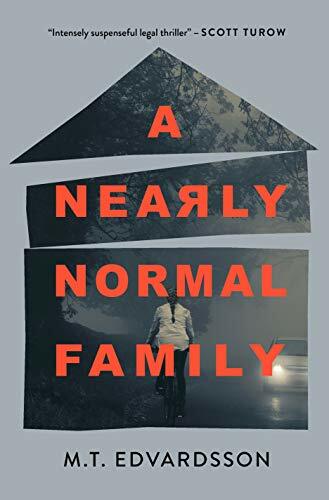 Rather than delving into the secrets between a husband and wife, Molloy sets her domestic thriller up to examine the lives of four very different women, all tied together by motherhood—and by tragedy. There’s Francie, the sweet Southern woman who has recently moved to Brooklyn with her husband, and now faces the realities of life in New York; Colette, the writer who is always “together” on the outside, but internally is struggling to keep up with her work commitments and her new baby; Nell, the feisty, impulsive one who drinks a bit too much and seems to be hiding some secrets of her own; and Winnie, the beautiful, reserved one whose life is upended one summer night. When Winnie’s child is kidnapped, the group of women find themselves thrust into the national spotlight: their behaviors, parenting decisions, and personal lives are picked apart by a media and public who are all too quick to blame the women for their perceived shortcomings as mothers. Make no mistake: THE PERFECT MOTHER might be a twisty and entertaining psychological suspense novel, but it’s also an indictment of the judgment placed upon new mothers by an unforgiving public, whether that “public” comes in the form of demanding relatives or, as in THE PERFECT MOTHER, a vindictive TV personality and her legion of fans. Molloy’s female leads are vivid, relatable, and engaging—and perhaps best of all, they’re not defined by their status as “victims.” These are women with agency and complexity, women who fight back against the tragedy that befell one of their own (albeit with varying degrees of success). In the face of a terrible crime, they take matters into their own hands, banding together (and sometimes going rogue) to piece together the events of a night of fun gone very wrong. THE PERFECT MOTHER is first and foremost a commercial suspense novel - it's perfectly possible to read this book simply for its entertainment value - but I also love to see a female crime writer delivering a novel that features women helping and supporting other women. Bonus points that it's all wrapped up in an utterly addictive suspense package. As with so many crime novels, you can choose to view THE PERFECT MOTHER on two different levels: its entertainment value, or the deeper commentary behind it. THE PERFECT MOTHER no doubt delivers a story of motherhood that will resonate with women who themselves have children and have faced up to the societal and personal pressures this entails, but it will also appeal to readers looking for a book that is just plain fun and addictive to read. How addicted was I to Molloy’s deliciously dramatic suspense novel? So addicted that I literally forced myself to slow down my reading pace just to eke out a bit more time with this book. If you are the kind of reader who wants to keep tabs on the “next big thing” in crime books, you’ll want to make a note of THE PERFECT MOTHER—this twisty confection will be a hit for fans of authors like B.A. Paris and Liane Moriarty. Molloy writes with confidence and energy, detailing the lives of these women and unraveling their most personal secrets with precision. To add to this addictive mix, Molloy weaves into the main narrative a series of sinister chapters told from the perspective of an unnamed narrator—the perfect dose of shiver-inducing tension to offset the lighter suspense found in the main characters’ personal lives. THE PERFECT MOTHER tackles dark subject matter with breezy, entertaining style, packaged in a narrative that is juicy and just a touch dramatic; in short, this book is pure, addictive fun to read. If there’s one little “expectations” comment I would make here, it’s this: THE PERFECT MOTHER has a flair for the dramatic. I have such a soft spot for books that can deliver movie-worthy drama and tension—and THE PERFECT MOTHER does this in spades. Just be aware that when you pick up this book, you are picking up a story that is more than a little bit dramatic… in the best way possible, if that's what you are in the mood for. The May Mothers have more than their share of hidden secrets, and I was hooked on each and every morsel of information that was revealed throughout the course of the book. It’s no surprise that this book has already been optioned for film: THE PERFECT MOTHER reads like watching an episode of your favorite TV drama. Addictive, pacey, and completely engrossing, THE PERFECT MOTHER will be the perfect book to bring with you on summer vacation - or just to devour over any given weekend this spring.